Caltech alumnus Cecil “Cece” Drinkward (BS ’50) defined himself as a man who skirted life’s easy paths and forged his own, more challenging ones. When he bought land in Mammoth Lakes, California, for example, he and his family lived in a tent on the property while he built a cabin with his own hands. Similarly, as president of Hoffman Construction in Portland, Oregon, Drinkward sought opportunities to erect iconic—and often technically difficult—structures that defined the city’s character and skyline. Drinkward, who passed away in July 2017, approached philanthropy the same way. He didn’t want to fund projects that offered incremental change. Instead, he wanted to support people who were asking daring, difficult questions to make the world better and safer. Drinkward found an equally ambitious partner in Caltech—and in José Andrade, Caltech’s George W. Housner Professor of Civil and Mechanical Engineering. To solidify this partnership, Drinkward and his wife, Sally Drinkward, made a $5 million gift in 2017 to endow a leadership chair for the Department of Mechanical and Civil Engineering (MCE). Leadership chairs provide Caltech’s academic leaders with a reliable source of flexible money that they can use to enable engineers and scientists to explore the types of big ideas Cecil Drinkward championed. As the executive officer for MCE, Andrade is the inaugural holder of the Cecil and Sally Drinkward Leadership Chair. Creating leadership chairs for the directors of Caltech’s major departments, research centers, and institutes is a priority of Break Through: The Caltech Campaign. Family members describe Cecil Drinkward as man of integrity, adventure, and exacting standards. He enrolled at Caltech at only 17 years of age, just as World War II was coming to a close. With the draft still in effect, Drinkward enlisted in the U.S. Navy during his sophomore year. The destruction he witnessed while deployed in Europe changed his outlook when he returned home. 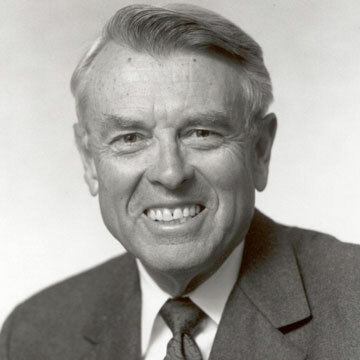 After his military service, Cecil Drinkward continued his civil engineering studies and graduated from Caltech in 1950. He began his career at Del Webb Corporation in the Los Angeles area, working first as a carpenter foreman and later as vice president. He attributed his rise to his Caltech degree, which he said ensured that his opinions would be taken seriously among colleagues. At 40, he was named president and chief executive officer of Hoffman Construction. He retired from the company in 2011, serving as co-chairman of the board. Drinkward’s Caltech experience enriched his life in other ways. 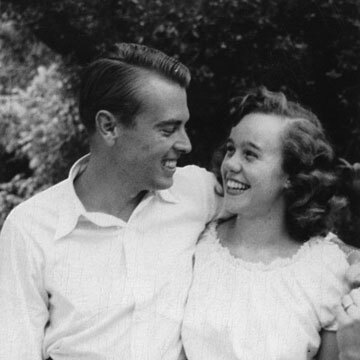 During the winter of his senior year, he met Sally Anne Bradshaw at a Caltech party. Drinkward invited the Occidental College coed to dance, sparking a romance that led to a marriage proposal outside Dabney and Blacker houses just a few months later. The couple remained married for 67 years. In 2006, Caltech renamed the site of their engagement as the Cecil and Sally Drinkward Garden. At that same spot this past November, Sally and her son Wayne celebrated the creation of the Drinkward Leadership Chair with a champagne toast. “We couldn’t help but think of Cece and wished he could have been with us,” Sally says. Funds from the Drinkward Leadership Chair already have been used to create two fellowships—one for a graduate student and another for a postdoctoral scholar, both in MCE. And plans are under way to host a conference that will bring together leaders in civil engineering to discuss the field’s future. Andrade says that additional funds from the Drinkward endowment will “power crazy ideas,” such as MCE students competing in a NASA challenge to fabricate a habitat on Mars, building semi-autonomous robots that can traverse thousands of miles of extreme terrain, and searching for ways to harvest the energy produced by earthquakes. Research currently in progress in MCE would have gratified his father, Wayne Drinkward says. Andrade says that Cecil Drinkward’s friendship and vision helped shape his career. Now, he can use the flexible funds Drinkward provided to free other MCE faculty to dream bigger.